Manage the Sales Planning function effectively to ensure timely fulfilment of sales orders/ Updation of fulfilment/ part fulfilment and despatches to all concerned. Maximize profitability by driving sales through pro active co ordination. Minimizing operational costs and delivery time. Timely escalation of deviations and to render a stellar support for the sales team. 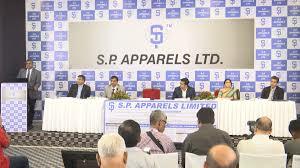 He /she should have minimum of 3 to 6 years of experience in Sales planning ideally in textile products either in Wholesale or in retail Industry. Should have strong knowledge sales planning acumen through data analysis. Forecasting or Collecting quantity requirements on timely basis and prepare a seamless delivery schedule. Lead and mentor to reach highest level of operational effectivelness. Sales orders Vs Inventory analysis. Should have experience working in SAP or any other ERP. Co-ordinating with Sales team & Preparing Daily Sales Report . Collecting Secondary Sales from the customer to understand current trend fast moving products. Co ordinating with Warehouse to get stock Reports. Preferably looking for Female Candidates .